This week on The Good The Bad The Ugly Film Show Adam, Dave, Greg and Nick take a look at new release films ‘Triple 9,’ ‘The Lady In The Van,’ and ‘The Finest Hours’. This episode also contains interviews with Chiwetel Ejiofor, Casey Affleck, Anthony Mackie, Chris Pine, Robertino Zambrano (Love In The Time Of March Madness), and Janette Goodey (The Story Of Percivel Pilts). Also listen out for the boys launching our brand new Rectify Season Three giveaway thanks to our good friends at eOne Entertainment. With this hit series starring Aden Young, J. Smith Cameron, Abigail Spencer and Sharon Conley now being released on DVD we have 5 copies to giveaway. In order to win listen out for Dave G asking this week’s question then head over to either our Facebook or Twitter page and send us a private message with the answer. This week on The Good The Bad The Ugly Film Show Adam, Dave, Greg and Nick take a look at new release films ‘The End Of The Tour,’ ‘Hotel Transylvania 2,’ ‘Phoenix,’ ‘In The Heart Of The Sea,’ ‘He Named Me Malala,’ ‘The Night Before,’ and ‘Truth’. This episode also contains interviews with Adam Sandler, Selena Gomez, Chris Hemsworth, Tom Holland, Joseph Gordon-Levitt, Seth Rogen, Anthony Mackie, Tom Taylor (The Deep), Lisa West (Moonlight Cinema), Michael McIntyre (IndieVillage Docco Film Festival), Amie Batalibasi (Blackbird), Gus Berger (QV Open Air Cinema) and Michael Caton (Last Cab To Darwin). The boys also launch a brand new competition thanks to our friends at Icon Films. Icon have given us an Australian DVD Pack (made up films – Last Cab To Darwin, Strange Bedfellows, Rabbit Proof Fence, Two Hands, Oranges & Sunshine and The Black Balloon) to giveaway to celebrate the launch of Last Cab To Darwin on DVD and Blu-Ray. To win listen out for the question during this week’s show and then hit us up on Facebook with the answer. Summary: Life isn’t going well for Scott Lang (Paul Rudd). After famously being arrested for a modern day Robin Hood crime his release from prison finds himself unable to keep down a job – a big issue since his ex-wife, Maggie (Judy Greer), and her new partner Police Detective Paxton (Bobby Cannavale) won’t give him any form of custody to his daughter, Cassie (Abby Ryder Forsten). 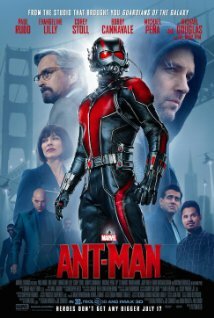 He finally gives in to his best friend’s urges and decides to help out with a heist that suddenly finds him being recruited by Dr. Hank Pym (Michael Douglas) to become ‘Ant-Man.’ While Pym’s daughter, Hope (Evangeline Lilly), thinks it is a bad idea soon Scott is being trained to help prevent the money hungry Darren Cross (Corey Stoll) from selling technology that is destined to be used for evil. The Marvel universe has been chugging along quick nicely for a while now. The franchise has peaked with amazing films like Guardians Of The Galaxy and Captain America: Winter Soldier and even it’s weaker films, Thor 2 etc, are films that are worth more than one watch. But now comes the film that many would consider the problem child for Marvel, Ant-Man. So why is Ant-Man the film that seems to have been causing Marvel the most amount of trouble. Well first of all the fanboys have been all over the film, criticizing the casting of Paul Rudd (like they did with Robert Downey Jnr. before Iron Man) and seemingly being outraged that they would even entertain inserting comedy into the film (yep because nobody had a chuckle during Guardians Of The Galaxy). But like is the case with so many problem children the real root of the issue was happening behind closed doors. See Ant-Man was supposed to be a Edgar Wright film. 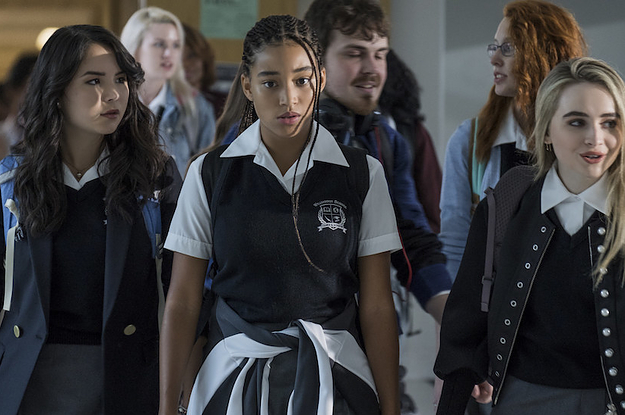 Yes the man who is largely responsible for the Cornetto Trilogy was supposed to be at the helm, but because he didn’t fall into Marvel’s line found himself turfed out and replaced with Peyton Reed (the man who brought us Bring It On), but the good news is that despite all this upheaval Ant-Man turns out to be a pretty decent film. Now before you go into the cinema to feat on Ant-Man be aware that the problems behind the scenes have resulted in Ant-Man being very different to any of the other films in the Marvel universe, but that actually ends up being a good thing. Gone are the epic scenes of large flying ships crashing to Earth or the destruction of a major city and instead we are left with an action packed scene that occurs in a little girl’s bedroom but will have you laughing out loud as a giant Thomas The Tank Engine goes crashing out of the side of the house. Yes it is scenes like that has Edgar Wright’s finger prints all over it. There are things that let Ant-Man down a little, the most annoying being that Michael Pena and Bobby Cannavale are simply playing walking clichés, but the plusses certainly outweigh the negatives. 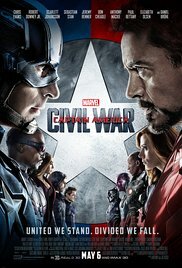 The screenwriting team have inserted the much needed heart that was missing from Avengers: Age Of Ultron as both Hank and Scott try to repair the relationships with their daughters while the well-written script has allows some of the cast to bring their A-Game to the acting stakes as well. Yes that is right everybody it seems that throughout this film that Michael Douglas forgets that he is in a comic book movie and actually turns up his acting output to that of what we recently saw in Arbitrage. Douglas is on fire here and it seems to have a carry on affect on some of the actors around him as well. Evangeline Lilly brilliantly plays a character with divided loyalty and it is Hope that much of the suspense centres around. Is she really on Pym and Scott’s side or is her loyalty to Darren Cross more than what they bargained for? She plays the double agent well and you can only hope that both her and Douglas are used more in the Avengers franchise now. Then there is Paul Rudd, who as I previously mentioned had the fanboys baying for his blood before the film was even released. Now I will admit that I was skeptical about Paul Rudd’s ability to play an action hero, but he well and truly made me eat my words with his performance. Rudd not got buff for the role but seems to become Ant-Man with complete ease. 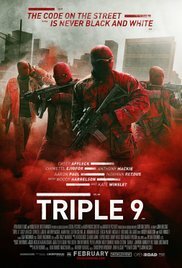 He manages to pull off the action sequences awesomely well, while it is also some of his quick wit and one liners that make the film a please to watch. Apparently we should also be thanking him for helping the script run smoothly after Wright’s departure… so Mr. Rudd from the bottom of our heart we thank you. So the best way to approach Ant-Man is to go into the cinema not expecting anything like you have seen in the Marvel universe to date. Yes Ant-Man has two Avengers appear (one in the main frame of the film, the other in the credits) and there are a few references to the Avengers and Spider-Man, but this is very much a film that is out there on its own. Yes this is a child that is very different to its siblings, but sometimes they make the best friends, right? Ant-Man is enjoyable enough to make you hope that the character appears again somewhere… very soon. Other Subculture Entertainment Ant-Man reviews: You can listen to our Ant-Man review on The Good The Bad The Ugly Film Show Ep #138. You can also read our Ant-Man review on The Book The Film The T-Shirt. There is also an alternative Ant-Man review on Heavy Cinema.